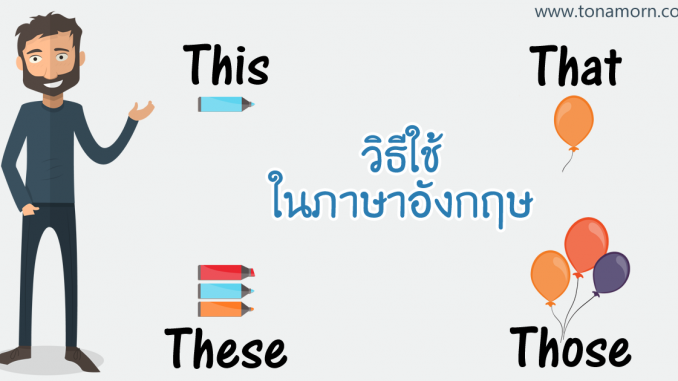 ประโยค: This is a book. ประโยค: This book is interesting. ประโยค: That is my pencil. ประโยค: That pen is mine. – What’s in this box? – Come and look at this. – Can I have one of these? – Do you think this jacket looks a bit funny with these trousers?